My 3-bedroom, 2 bathroom condo was built in 2000, and when I bought it and moved in back in the fall of 2015, I knew immediately that I'd eventually want/need to make some changes to the master bathroom. At some point during its life, previous owners gave this bathroom a few updates. I think someone removed a bathtub/shower combo and put in a vinyl shower insert, the toilet was replaced, and an appallingly large 3-section medicine cabinet was put up. After the first few nights of bonking my head on the cabinet every time I bent down to brush my teeth or wash my face, I knew it would have to go. But not right away. It wasn't until the plastic and rubber parts of the original builder-grade faucets started to disintegrate that I decided to make a change. So really, this all started with faucets. IT ALL STARTED WITH FAUCETS. 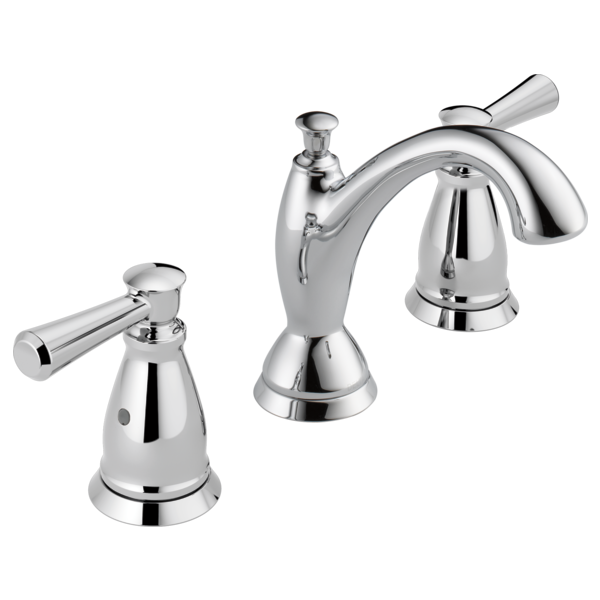 I wanted to replace the faucets, but I didn't really want to just replace them with new low-spout faucets that would fit under the stupid medicine cabinet, so I started thinking about higher spouts, which led me to look at widespread faucets instead of center-set. And that led me to consider a new countertop and sinks. At that point I was leaning toward keeping the cabinet and having it painted. But I really despised the pinkish-tan floor tiles that looked very dated to me and hadn't held up all that well in the last 17 years. When I discovered that the pinkish tiles ran under the cabinet, the project got a whole lot bigger. This is when I realized a plumber needed to cut and cap all the supply and drain lines before I could remove the old cabinets. Unexpected expense! So where did I end up? New floor tile, cabinet, countertop, sinks, faucets, mirrors, light fixtures, cabinet hardware, wall paint, baseboards and shoe molding, and switchplate covers just for the heck of it. The only things I haven't changed are the towel bars (which I bought last year), toilet (replaced by previous owners and totally fine), and shower. My long-term plan is to remove the shower insert and have it all tiled and new frameless doors installed. For now, it's totally acceptable -- and it's tucked back into the corner of the bathroom, so it's easy to ignore. It just wasn't in my budget right now, and I couldn't handle making any more choices and arranging the work. After demo, the first new thing to go in was the tile floor. My vision from the start was to make the room bright, crisp, and clean. I considered large porcelain tiles, but the small mosaic design had been in my mind the whole time, and I ended up going with white and gray octagon-and-dot tiles. These came from Lowe's, but I saw the same tile available in a few other stores. I chose white grout and was assured that this particular grout is high-quality and repels dirt and staining. Fingers crossed! I kept my cat Frannie out of the room while there was exposed concrete and pipes, so she was surprised by the feel of the mosaic tile on her paws when I finally let her back in. The new Shaker-style gray cabinet is Waypoint in Stone. I chose gray versus a white cabinet so that it would provide more contrast with the tile floor. And with a light countertop, I think it all works well together. The cabinet hardware is Kohler. I worked with a local kitchen and bath store for the cabinet, countertop, and sinks. I found the chrome hardware at another design/plumbing supply shop in town. This photo is the best representation of the light and how everything looks in the room. The countertop is Viatera Minuet quartz, and I chose white rectangular under-mount sinks. Initially, I thought I wanted a more subtle white quartz with little to no veining. But when I saw the large display slab on the wall at the stone shop and held a cabinet door up to it, I really liked the look of this one. My mom and I agreed that the veining was interesting but not overpowering and a good complement to the cabinet and tile. This whole project started with the need for new faucets, and these were so hard to choose! I looked at every faucet I could find, at every plumbing supply store in town, and I still wasn't thrilled with my choices. I couldn't find anything that was just right, and I finally settled on this Delta Linden widespread faucet. The spout was fine, but I didn't love the handles that I saw in the store -- and then I realized that there was a different handle design option available. I greatly preferred the handle you see above, so all in all, I'm happy with these faucets. The rectangular mirrors with a beveled frame are from Lowe's. The mirror size and shape was another difficult decision (pivoting? framed? oval? rectangular? ), but these turned out to be perfect. The round rugs with a little crocheted edge detail are from World Market (and they come in a variety of colors). And finally, these aren't the greatest photos, but new light fixtures made such a difference in the space. The vanity fixture is from a local lighting store and is actually the first thing I bought for the renovation. I despised the curvy fixture it replaced and couldn't wait to see it go. The flushmount on the ceiling is the second one I tried. The first one was an LED that looked too much like an oversized tap light to me. So I tried this Pottery Barn Hayden Flushmount in satin nickel finish, and it's perfect. One last thing -- the wall color is Sterling White by Sherwin Williams. It's a pale gray -- definitely more sterling than white -- complements the grays in the tile and cabinet but is still bright enough to bring lightness to the room. If I had to pick my top 5 favorite quilts I've ever made, this would be one of them. It recently arrived at its new home in a little village near Belfast, Northern Ireland, and I have to admit that it was hard to let it go. As I made it, I started thinking about someday making another one to keep for myself. I often think that as I make a quilt, but by the end I've changed my mind due to the amount of work involved. But this one? I'm pretty confident there's another Spin Cycle quilt in my future (even though it did take a lot of work!). So here's the story of this quilt. My dad's grandmother, Margaretta, grew up in the countryside near Belfast, Northern Ireland, and later moved to Pennsylvania, where she married and raised a family. As a result, I have a lot of distant cousins still living in Northern Ireland. One in particular, Ella, is a genealogy junkie who reached out to my dad many years ago. In college, I spent a semester studying abroad at Queen's University Belfast, where Ella worked in one of the libraries, and she introduced me to many of my relatives. Everyone was so warm and welcoming, and there was even a tinge of family resemblance. My dad has kept in touch with Ella over the years, and they met up again last year when my parents traveled to Ireland and Northern Ireland. After their trip, he asked me to make a quilt for Ella. He had no requests for pattern or fabric -- my favorite kind of commission! -- so I started brainstorming. 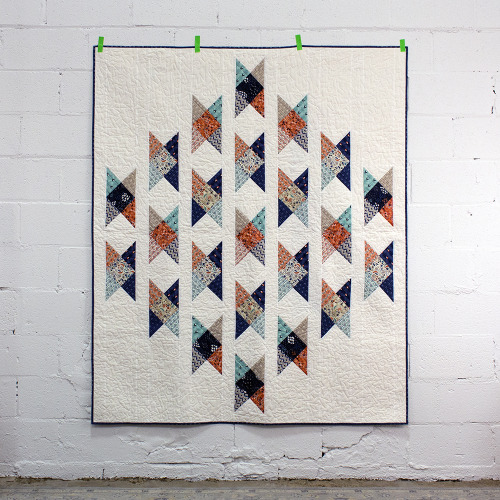 I bought the Spin Cycle quilt pattern from Cluck Cluck Sew a long time ago but never got around to making it. The circular design reminded me of the ancient Celtic burial mounds that Ella took me to visit when I was studying there, and it's a generous throw size at 75x75 inches, so the pattern seemed like a good fit. I've been collecting a mix of Denyse Schmidt fabric for years, and her prints inspired by New England textile mills and small towns seemed appropriate given Belfast's history as the center of the Irish linen industry. Two sides of the same coin, in a way. I won't lie -- it took a LONG time to piece all these blocks. But when I started chain-piecing 8 or 9 of them at a time, things sped up. Still, there's a lot of time, determination, and Netflix-viewing in this quilt! For the quilting, I decided quickly that I wanted straight lines for simplicity and no distraction from the fabrics and piecing. My local longarmer, Pat, quilted it for me. The back is ... a little crazy. I wanted to do something interesting and patchwork-feeling, but with such a large quilt, it needed to be big piecing. So I cut 18-inch strips of varying lengths and arranged them in an order that pleased the eye (my eye, at least). Finally, the label. A hand-embroidered label felt like a must for this quilt, since it's going to family far, far away. I hope it becomes an heirloom, and I wanted to do it justice with the label. All the way from Knoxville to Dromara. Sometimes I forget to share a project here, and then it kicks around in my head FOREVER because I just can't let it go -- especially when it's as pretty as this baby quilt that I made over a year ago for my cousin Amy's baby girl. I've been intending to write this one up for a while, and then it hit me -- the Pantone Color of the Year is Ultra Violet, and this quilt is spot-on. 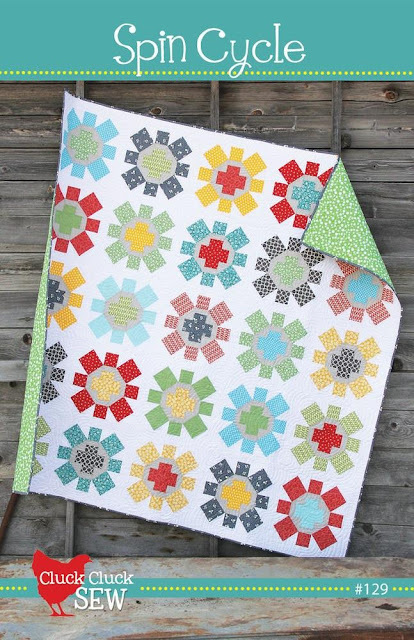 I think that I originally saw this quilt block pattern on Pinterest, but I can't find it anymore. Luckily I sketched it out for reference. The smaller size of baby quilts make them the perfect opportunity to try new blocks and new ideas. When I heard that my cousin was expecting, I wanted to make something special for her first baby. 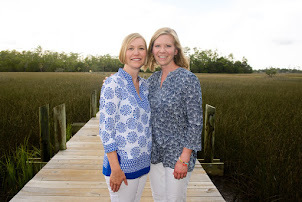 My aunt shared that Amy and her husband were planning to decorate the nursery with a mix of neutral tones and purples, so I pulled out my purple and periwinkle Tula Pink fabrics along with a mixture of white, ivory and cream solids for the background. I've hoarded those Tula Pink fabrics for a long time, and it felt SO GOOD to finally sew with them. It was a reminder that I should use the fabric I love -- it's not doing any good just sitting in the closet. These blocks were fun to put together because I was using fabric I loved. That's a good lesson to keep in mind. After assembling the blocks into a top, I added a pieced border using the scraps and put a moody Tula Pink print on the back. My local longarmer friend Pat did the quilting for me -- graceful loops that echo the swirls in some of the prints but also contrast the sharp lines of the block pattern. I shipped the quilt off to be enjoyed by the new baby, Viola. A violet quilt for Viola -- seems fitting. The setting sun really shows off the texture after washing. It has been more than 6 months since I started this hand sewing project, and I still love sitting down with it almost every night, so it's time to share. I know I'm not the only sewist out there who got hooked on the Lucy Boston blocks thanks to Alewives Fabrics, a shop in Maine. Their Instagram posts of the English paper piecing blocks and kits drew me in, and I had to try this design out for myself. And now I can't stop. This pattern is also referred to Patchwork of the Crosses. There's a book by Linda Franz called Lucy Boston: Patchwork of the Crosses that a lot of folks uses as a reference, but when I get an idea to try something, I want to start right away, so I didn't wait to get the book. I ordered 1" honeycomb paper templates and a coordinating acrylic honeycomb template from Paper Pieces and starting coming up with a loose plan for fabric. Oh -- the other part of this story is that I was flying to Dallas for a week visiting a good friend and her twin babies, and I wanted a hand sewing project to take with me. So while I had enough time to order the templates, I didn't have all that much time to audition fabrics and prep it for the trip. I decided to forego the intense fussy cutting that a lot of people do for their Lucy Bostons. I don't have the patience for that, and I didn't want to delay the gratification of finished blocks. So I grabbed a stack of Cotton + Steel fat quarters that I won in a swap with my guild (the Knoxville Modern Quilt Guild -- check us out), some low-volume neutrals, and a stack of Andover chambray fat quarters that have been waiting for just the right project. Two coordinating prints for the next round -- sometimes they're fussy cut, but sometimes they aren't. It just depends on the fabric design and how much I want to play with it vs. get started sewing already. I started with one package of 100 paper templates. When I finish a block, I remove and reuse the papers from the center but leave them in for the outside ring, since I'll need them in place to sew the blocks together later. But then I ran out of papers. So I ordered more, but this time -- 200. I'm still working through that batch. I don't know when I'll consider the blocks done and ready to be assembled into something bigger...I have started thinking about a final layout, and I think I've landed on a plan. But with plenty of paper templates left to use, I'm not itching to work on that next step just yet. Instead, I just keep choosing fabrics, making blocks, and loving the whole process. Here's a look at the backside of one block. I glue-baste the fabric to the papers and then use an old manicure tool to loosen the edges and pop the papers out after the block is finished. I only take the 8 papers out of the center section, leaving them in around the edges so that I can easily sew the blocks together later. I started out using a whipstitch to sew the honeycomb pieces together, but I didn't like that my stitches were so visible, so I switched to a flat back stitch, and I like it a lot. I just found a different version of the whipstitch, though, where you stitch through each layer separately and alternately, and I may have to try it out. So that's where my Lucy Boston project currently stands. I have to take a little break while I spend my evenings knitting a baby blanket for a friend, but I'll be back with more blocks soon!